Located in Patchogue, Blue Point Brewing Company has been cranking out award-winning beers since 1997. Their flagship, Toasted Lager, has been commended with several prestigious awards, including the Gold at the 2006 World Beer Cup. 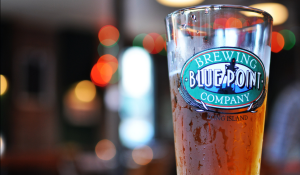 With a wide range of beers to choose from, including the White IPA and the dark Oatmeal Stout, the Blue Point Brewing Company will have a beer to suit your tastes. You can tour their brewery on Saturdays or just visit their tasting room on Thursdays, Fridays and Saturdays. Port Jeff Brewing Company is a fairly young brewery, but it offers a laundry list of tasty beers. Fan favorites include the Party Boat IPA, which has 10 different kinds of hops, and Orange Dream, which is packed with citrusy flavor. Their tasting room is open from noon until 8:00PM every day of the year except Christmas. 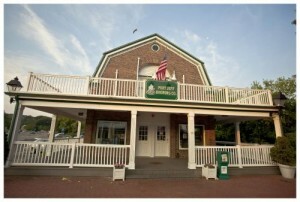 Port Jeff Brewing Company is, of course, located in the charming town of Port Jefferson. The Port Jeff ambiance combined with the great tasting beer should definitely earn a spot on your list of Long Island breweries to check out. 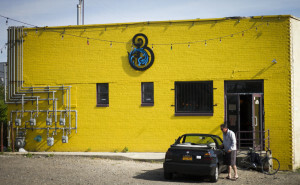 Barrier Brewing Company offers over 50 types of craft beers. Located right across the street from the East Rockaway LIRR station in Oceanside, their warehouse-like atmosphere is ideal for a brewery. They’re open for you to check out every day of the week except Monday. With a menu that is consistently changing and offering different beers, even people who frequent Barrier Brewing Company don’t get tired of it. There’s also a food truck right outside that serves delicious snacks like fish tacos and lobster macaroni and cheese balls. 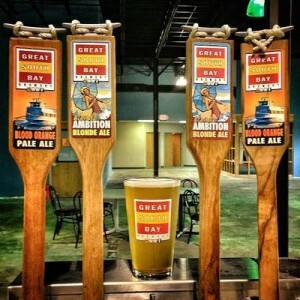 Located just a little ways away from the Bay Shore Fire Island Ferry station, the Great South Bay Brewery has 12 beers on tap. With their tasting room open from Wednesday to Sunday, they have some great year-round offerings like the Blood Orange Pale Ale, seasonal offerings like their Blonde Ambition Summer Ale and limited edition special releases like the Hoppocratic Oath Double IPA. Bring some snacks, order some $5 flights and enjoy the atmosphere of one of the best Long Island Breweries! Whether you’re a longtime craft beer lover or just looking for a new favorite beer, check out these excellent Long Island breweries. Have fun responsibly, though! You can always call us for a ride or fill out our online reservation form in advance to avoid drunk driving at all costs.